"I'm so fast!" boasts Hare. "Humph!" says Tortoise, in a grump. "Hare, I challenge you to a race!" But who will win? 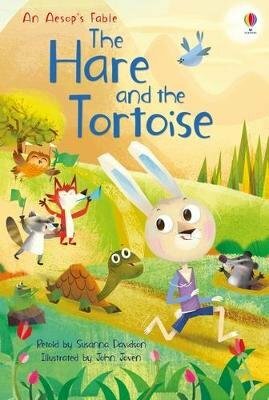 Find out in this lively retelling of the classic Aesop's Fable, specially written for children who are just learning to read, with charming illustrations by John Joven throughout.